Crossovers: 18 characters from 9 manga series!!! 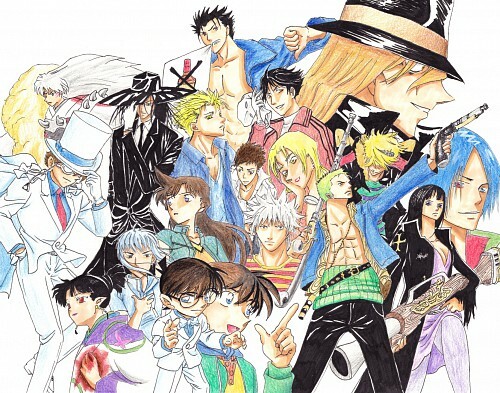 Minitokyo »	Crossovers Indy Art » Crossovers: 18 characters from 9 manga series!!! and the rest 1 each! This time because there's too many people in such a small piece of paper (11x24in), I decided to use color pencils. I might do another combination with other characters I did not put in.